I’ve covered some areas in Green Bay, and now it’s on to Howard! Read on to see what’s so great about this part of Brown County. The Town of Howard was established in 1835. The slow progress began with the headquarters of Duck Creek. In fact, because of Duck Creek and it’s winding way through Howard, the Town of Howard was commonly called Duck Creek. Howard was incorporated in 1959 and became the Village of Howard – Duck Creek no more! Akzo Nobel Sports Complex is one of the largest with 90+acres. With baseball/softball diamonds, soccer fields, batting cages, a playground, this park has got it all. Not feeling that park today? How about one of the other 20 parks in the area? In the mood for some basketball? Check out Meadowbrook Park instead. Howard even has it’s own golf course. Check out the Village Green. It is a nine-hole, par 36 golf course. To find out more about the parks in Howard click here. The Village of Howard is home to many, many wonderful bars and restaurants. You could pick a different place to eat or drink for a while! Don’t believe me? Click here to see what your new favorite restaurant joint is going to be. Howard has a little bit of everything. 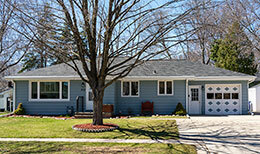 There are older, more established homes, while there are still plenty of new construction in the area as well. The styles and price ranges of homes greatly vary. There are also waterfront homes with Duck Creek. No matter the style of home, or the price range, I can help you find the right one for you! The past year 188 homes were sold and new people moved in. The average number of days on the market was 63. Howard is bordered by Suamico to north, Hobart to the southwest, Ashwaubenon to the south, and the city of Green Bay to the southeast, to the east lies the bay of Green Bay. 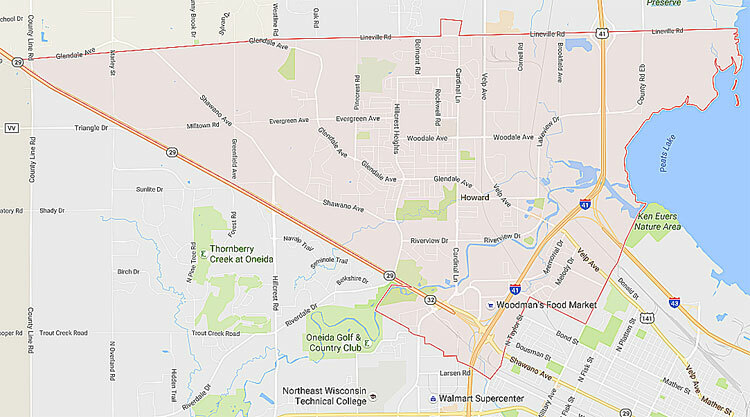 What Homes are Available in Howard, WI? New houses come on the market in Howard regularly so if you can’t find that perfect house today, let Elysia know what you’re looking for and she can monitor the market and alert you when something meeting your criteria is listed. Click Here for a current list of Howard Homes for Sale.